I have a back-log of things to write about from our last New York trip. I like parcelling it out a bit as it allows me to savor the experience a bit longer. 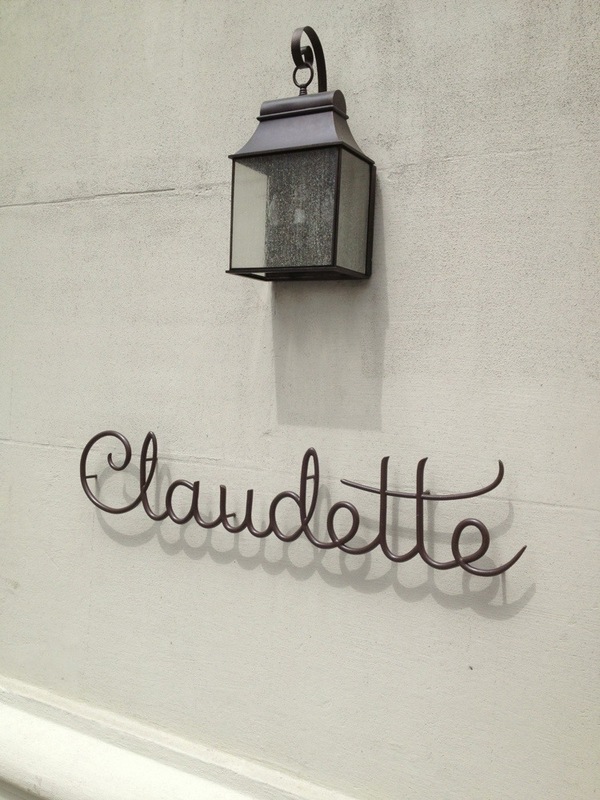 Claudette is worth savoring. 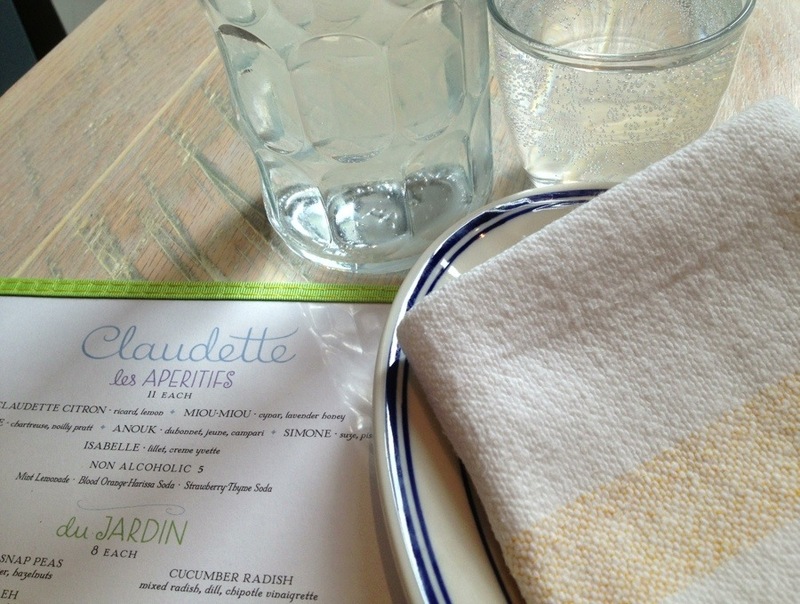 A fairly new Gallic eatery on Fifth Avenue just north of Washington Square Park in Greenwich Village that has received a fair amount of buzz, which after eating there, is quite warranted. Dining establishments that are a visual feast as well as an edible feast always go to the top of my list. Often times I will go to a place first solo so I can take it all in, arriving right as they open so it is not crowded and I really can get a sense of the room & the environment. Then while I am eating the space fills up with people. Sort of like live theater. This was the case with my lunch, which was quite yummy. 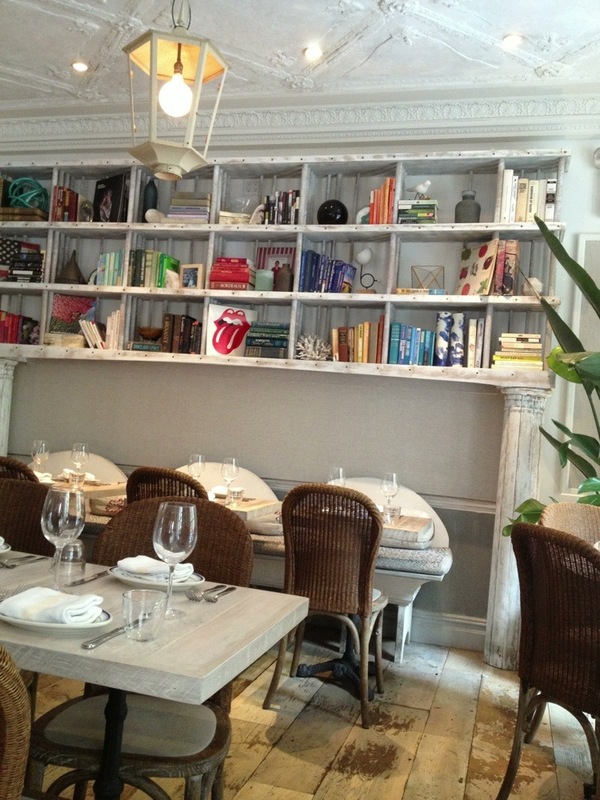 Mediterranean influenced French fare, served in sublime environs. I will be going back. There is outside seating too, so great for Summer dining. Bailey will love watching the world walk past as we dine on our next city visit.